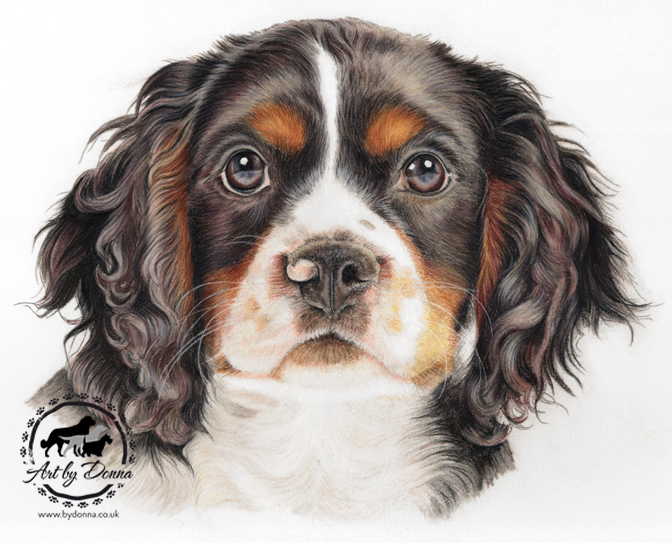 Pet Portrait of the week is this cute little Cavalier King Charles Spaniel. Hand drawn on white Pastelmat using Faber Castell Polychromos pencils. A tutorial of this dog portrait will be available soon.